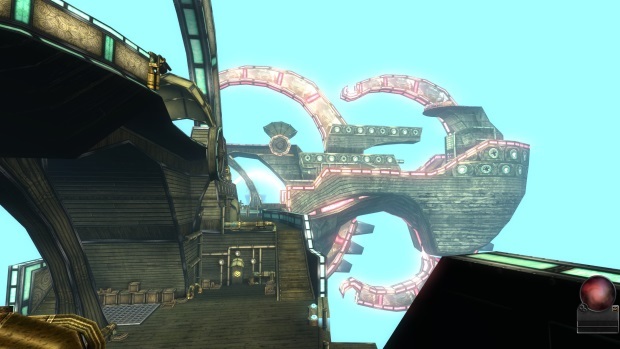 We’re back for DDO Update 22: Pirates of the Thunder Sea. Dungeons and Dragons Online, taking place largely in the Eberron universe (the one with all the steampunk and magitech business), is expanding their already sprawling world of content and doodads with enhanced versions of old features, and plenty of new features entirely. Like all updates, this one includes new dungeons and raids to explore, in addition to new guild ships and refurbished old models. Guild airships are massive ships that fly. They float through the air, using elemental engines, and have huge interiors with modular rooms that guild leadership can swap in and out as they please, to provide their members with a variety of buffs, crafting services, and conveniences. They also look pretty, and can even serve as memorials to defeated raid bosses or other challenging content. And of course, they can just be there to provide atmosphere and ambiance. 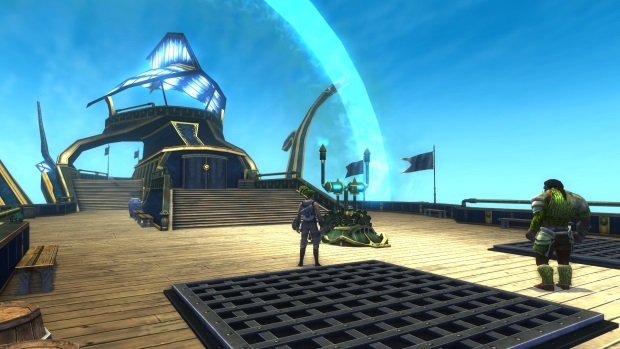 The biggest model of airship in the game is now available for guilds to purchase, and the older models are receiving a big art update to bring them up to DDO’s new standards. The maximum level for guilds has been raised from 100 to 200, with 150 to 200 being levels that provide no serious mechanical benefit – only bragging rights. 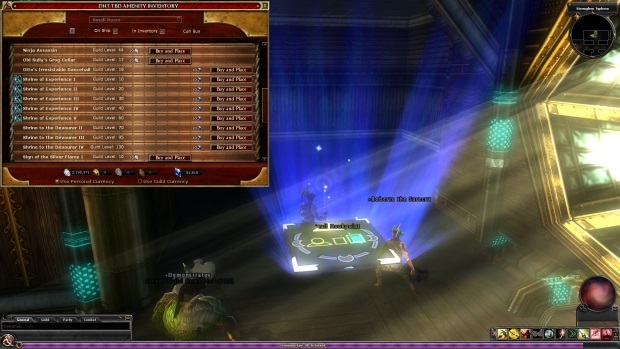 Bragging rights are apparently important to the dedicated MMORPG player. The developers also felt it was relevant to mention that the kitchens in these airships are stocked with plenty of bacon – when the internet will get tired of talking about bacon, I have no idea. I suspect it will be when everyone who was twenty at the time of WoW’s release gets old enough to start worrying about heart conditions. 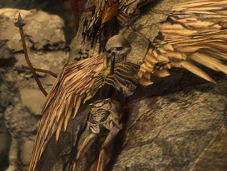 The new dungeon is especially interesting for those that have a preoccupation with pirate themes, especially pirate themes that occur several thousand feet in the air. The entire goal of the dungeon is to finish up a long arc, which would have you tracking down the treasure hoard of a deceased pirate. The gold is yours to keep (it’s a lot of gold), and the draconic artifact hidden inside is one that you’ve been contracted to recover by a dragon. So, the gold is loaded onto your ship, and you set sail into the skies to bring it back home. But it isn’t that easy, obviously. Pirates are out to take it for themselves, and within minutes, their ships will be showing up behind yours and trying to board. But you can repel them, obviously. Moreover, you can assign your various crewmates to different tasks on the ship, such as guarding the engine room, manning ballistae, or accompanying you in general swashbuckling hijinks. Once you’ve repelled the boarders from your ship, you can even board theirs in turn, disable their engines, and be on your way. This will happen multiple times, before the big bads show up – the Bloodtide pirates. Their ship is three times the size of yours, and fending them off will be quite a challenge. There are also going to be fleshed out wilderness and world map areas in the game’s existing air pirate zone, with expansions made, and now with airships floating around the landscape, bombarding hapless players. Of course, if you want, you can board these airships (if you can figure out how to get to them or bring them down) and sack them for rewards. So it’s nice to see that not all of the content is entirely structured around instances and dungeons. The new content will be available for free to VIP players, and is purchasable by anyone in the premium store – but those that have purchased the pirate areas previously don’t have to purchase them again. This update will be a free upgrade. Of course, this update also has something for everyone. An entirely new tree is being added to the bard class – the swashbuckler! This is a class that’s meant to flesh out the bard’s anemic damage potential and general combat worthiness. It’s based around the single-weapon fencing style of combat, rewarding players with bonuses and benefits for fighting with a single light weapon in hand. This style was always a favorite of mine, and I never really understood why so few RPGs include it as a viable option. You can also use a light shield, like a buckler, if you desire. This class is available to all players, VIP or not, and promises to provide a whole new dimension for bard players to explore. Update 22 is going to drop in the coming weeks, so keep an eye out for it. If you’re a long-time player, your preferred game is going to become even better soon. Congratulations! If you’re a player that’s left because bards didn’t have enough finesse and stabbing, you may want to give the swashbucker a shot. And if you just like pirates, steampunk, and D&D rulesets in general, you should most certainly check out DDO. 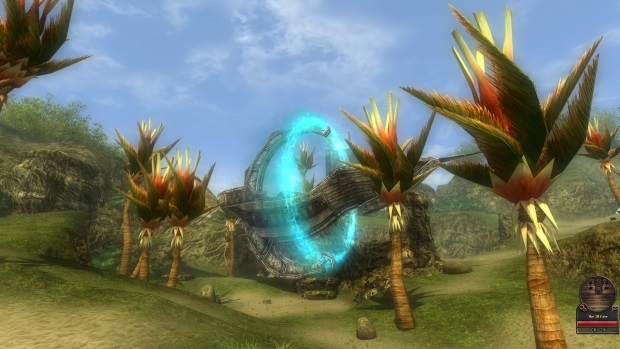 It is nothing if not a unique experience in an otherwise dreary field of unimaginative MMORPGs. 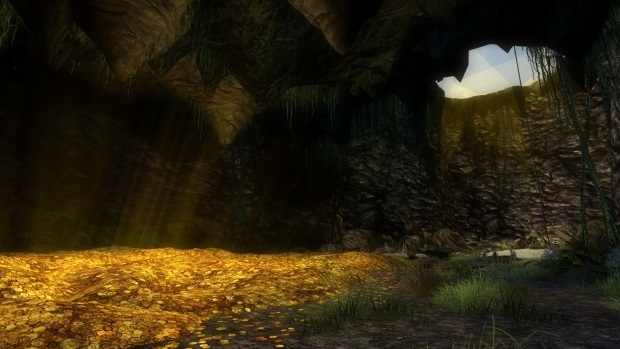 For more screenshots on DDO Update 22, be sure to check out our sister site’s gallery at MMOHuts.